Vinification: Fermentation with maceration in steel for 10 days at 25°C, with daily pumpovers and delestage. Refermentation in January on the Amarone pomace; for every litre of Amarone, 2 litres of Ripasso are produced. 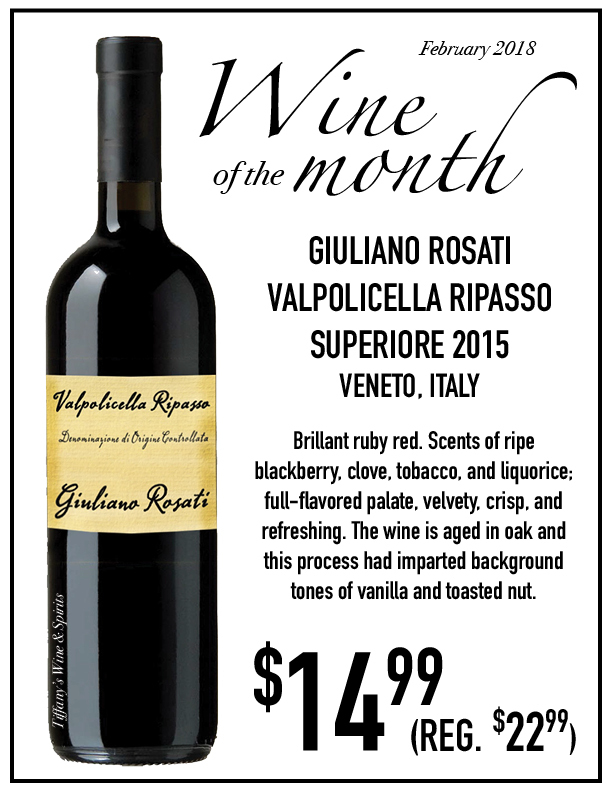 Tasting Notes: This is a very classically-styled Ripasso. Brillant ruby red; scents of ripe blackberry, clove, tobacco, and liquorice; full- avored palate, velvety, crisp, and refreshing. The wine is aged in oak and this process had imparted background tones of vanilla and toasted nut.